Is an all-in-one skin beautifier which simplifies and combines skin and makeup regimen into one! Primes and moisturizes your skin, at the same time even-toning it. Is enriched with the goodness of Vitamin B3, Vitamin C, and Vitamin E.
Comes with a silky and lightweight texture. Comes in eight different shades to cover all skin tones. You can browse through the complete world of L.A. Girl BB & CC Cream. Explore the entire range of BB & CC Cream available on Nykaa. Shop more L.A. Girl products here.You can browse through the complete world of L.A. 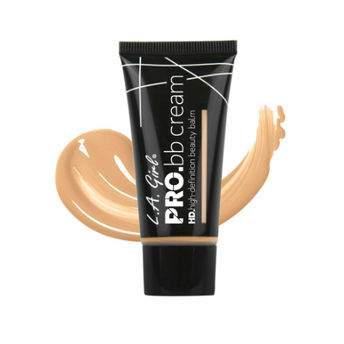 Girl BB & CC Cream .Alternatively, you can also find many more products from the L.A. Girl HD PRO BB Cream range.